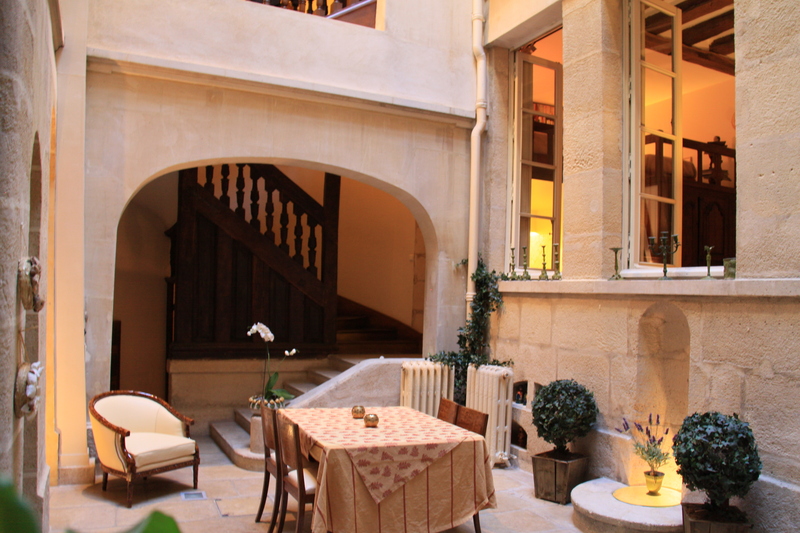 Maison d'Anne – Paris Historic Bed & Breakfast – Live a few blocks from Notre Dame in a beautiful townhouse from the early 1600's. 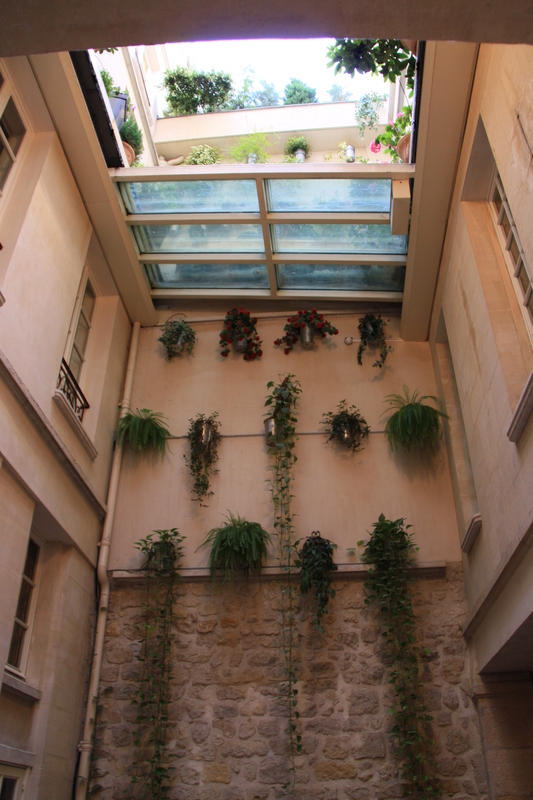 My family and I welcome you to our home, located right next to Notre-Dame Cathedral in Paris Latin quarter. 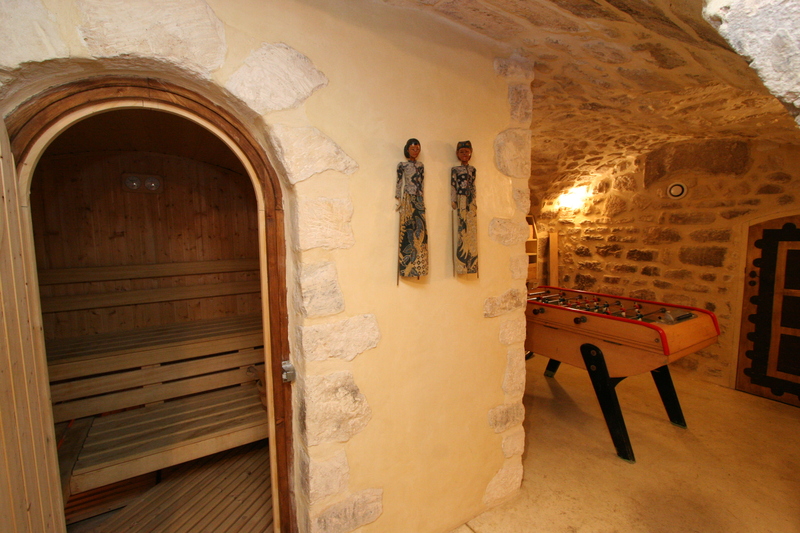 Our house, built in 1610, has been fully modernized and has a private pool, sauna, and fitness room, all within a medieval basement. Each of our guest suites is equipped with air-conditioning for your comfort. 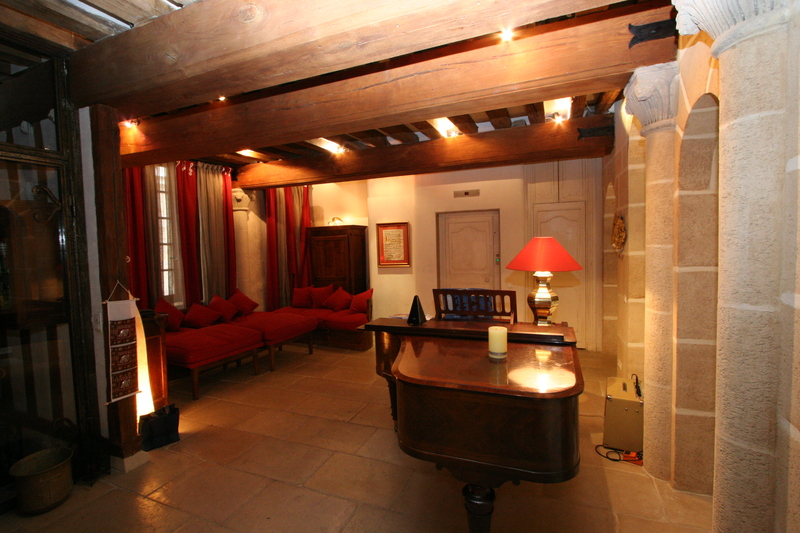 Our 3 studio suites are located in one of Paris’ rare buildings dating from the beginning of the 17th century. Spread over 5 floors, our home is fully modernized with air conditioning, pool, sauna, fitness room, and high-speed Wi-Fi. 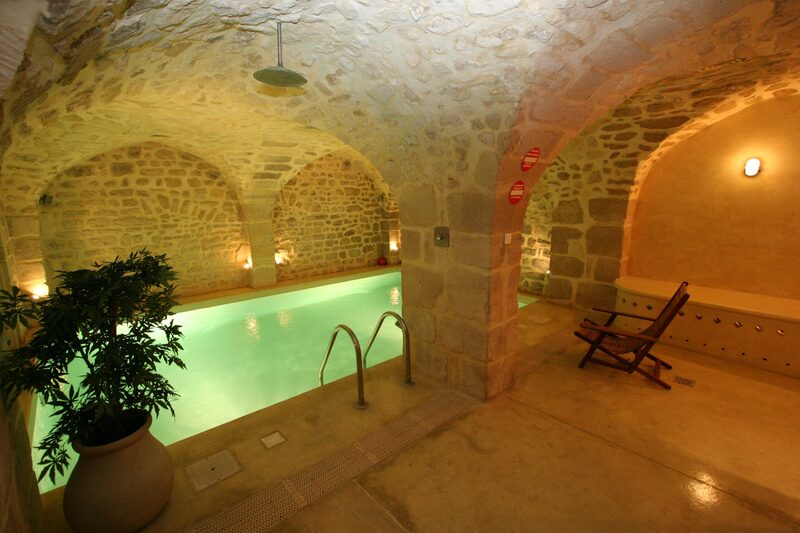 Guests have access to the pool, sauna, fitness room, and for long stays, laundry (washing machine and dryer). We also have a foosball table and a piano (for musicians only please). 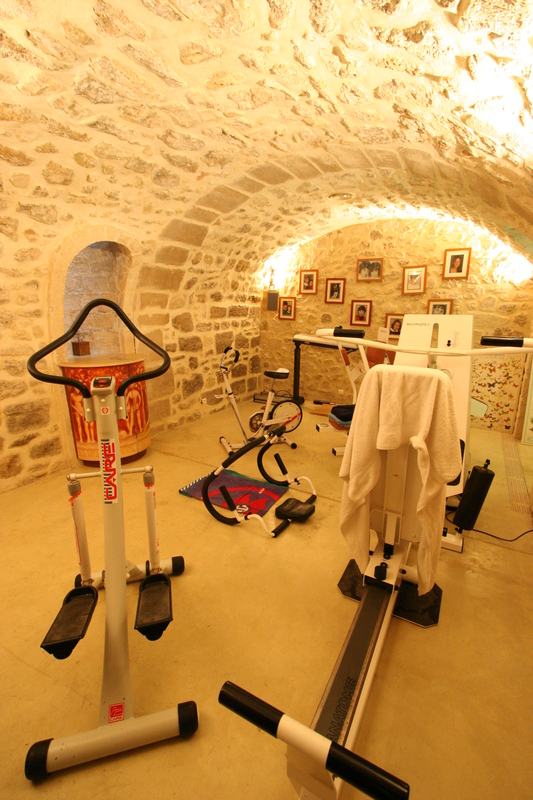 All of these facilities may be used by other guests alike. Depending on your needs, we are at your disposal to answer any questions you may have and we will strive to provide you with as much information as necessary in order to optimize your stay in Paris (for example, trip planning tips, opening hours and the waiting time in queues). Our family speaks English, Spanish, Chinese and German. We all have a passion for the history and architecture of not only Paris, but also France; we would be delighted to help you organize your visit off the beaten track. Anne is herself a historian and has conducted many guided tours in the past. We also enjoy chatting with our guests over a cup of coffee. We are available to our guests for any problems you may have, from reservations for restaurants and shows to organizing sightseeing trips around the city, and everything in between. – As this is our residence, there is almost always a family member present to welcome you upon your arrival in Paris so that you can drop off your luggage before the official check-in time). Likewise, your luggage can be kept after your check-out on the day of your departure. – We have two friendly cats that are very happy to meet new people and love to be petted. They do not go in the studios. – Please note: We do not accept requests for parties or for private use of the pool. – Check-in between 3PM and 10PM and check out before 11:30AM (for exceptions, please contact us). You can drop or leave your luggage before or after these schedule.